How good is your Penalty Kick????? 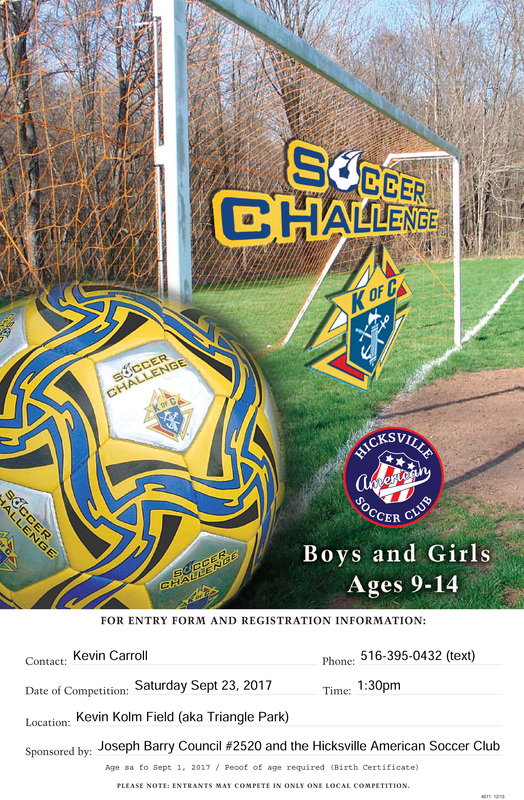 The Knights of Columbus Soccer Challenge is a competition designed for players to demonstrate the most basic soccer skill – the penalty kick. Open to all boys and girls in your community, ages 9-14, where each player will be allowed 15 shots at the goal from the penalty line (12 yards from the goal). Winners progress to the district, regional, state and international levels.